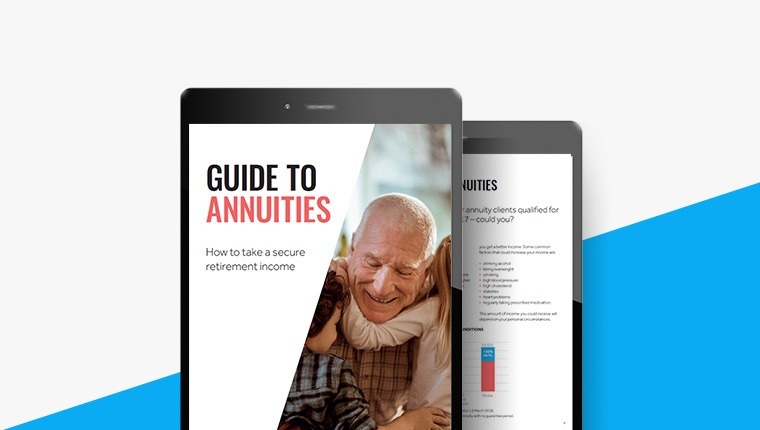 An annuity is one of the only ways of providing a secure income from your pension. You can exchange some, or all, of your pension with an insurance company for an annuity. In return, you’ll receive a guaranteed income for life. The amount of income you receive will depend on the value of your pension, your circumstances and the options you choose. Your annuity will last regardless of how long you live, or what happens to the stock market. Though once you set up an annuity, you usually can’t change or cancel it, so it’s important to choose your annuity options carefully. You can buy an annuity anytime from 55 (57 from 2028). Your annuity income will be taxed, but you can usually take up to 25% of your pension pot tax free first. Tax rules can change and their benefits depend on your circumstances. 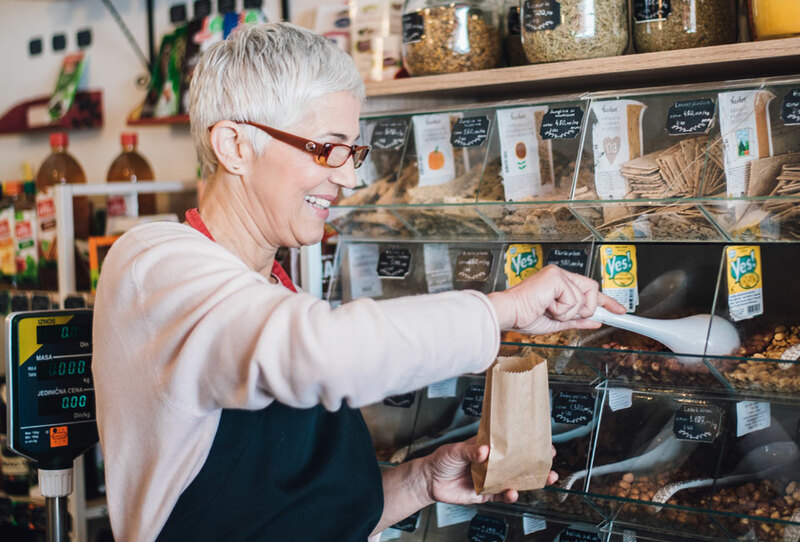 Your current pension provider might not offer you the best annuity rate, so it’s worth shopping around and comparing providers. Just make sure you won’t lose any guarantees before you switch. 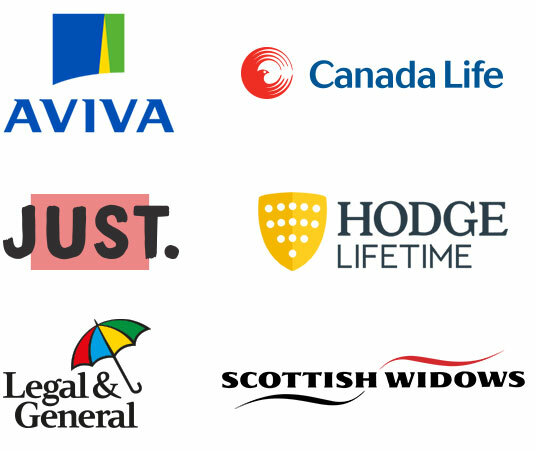 You can use our service to get quotes from all the annuity providers on the open market in one go: Aviva, Canada Life, Hodge Lifetime, Just, Legal & General and Scottish Widows. This isn’t the only way to increase your income. Annuity providers can pay you a higher income if you provide health and lifestyle details. You don’t have to be ill to qualify. Last year, more than half of our annuity clients qualified for an enhanced annuity. It's easy to provide health and lifestyle details when you get quotes. If you choose an annuity, there are options available to suit your needs. You can choose how often you receive your income, what happens to your annuity after you're gone and whether you want to protect your income from inflation. You don't have to use all of your pension to buy an annuity – it’s entirely up to you how much you use. For example, you can also split your pension between an annuity and drawdown, which is a more flexible but higher risk option for taking your pension. Use our Retirement Planner to adjust the amounts of secure and flexible income to find a balance that works for you. Answer a few questions about you and your pension to find out how much income you could get from an annuity. Annuity rates change regularly and may go up or down in the future. Your quotes will be guaranteed for a limited time. Why use HL’s annuity service? Get live quotes within minutes. Our online annuity service makes it easy to provide your details and get quotes. And you can find out if you qualify for a higher annuity income by entering your health and lifestyle details. Our dedicated retirement experts. They can answer any questions you have or get you quotes over the phone. If you think you need advice, they can put you in touch with an advisor. The best rates from the UK’s leading annuity providers. Shopping around and comparing rates is vital if you want to buy an annuity. We can get you quotes from across the annuity market. We've won the Gold Standard Award for retirement for the last five years running. Whether you want to buy an annuity or just compare your retirement options, our award-winning service can help. Now retired I spend a lot of my time in Greece enjoying the climate, culture and food. I decided to purchase an annuity because I wanted the security it offered. By confirming details about my height, weight and alcohol intake Hargreaves Lansdown were able to get me an enhanced annuity quote offering nearly £900 more income than that offered by some of the other providers. Hargreaves Lansdown were brilliant in setting up my annuity. They did all the legwork for me by shopping around and finding me the highest income available from my pension. Everything was finalised within three weeks of first enquiring. I particularly liked that whenever I rang I spoke to someone straight away who was able to help. I read about HL in the paper and I used the online tool to get some annuity quotes. The figures were thousands of pounds better than my pension provider's even though they were from the same insurance companies! Whenever I phoned the HL helpdesk I found it to be helpful and they always called back when they said they would.